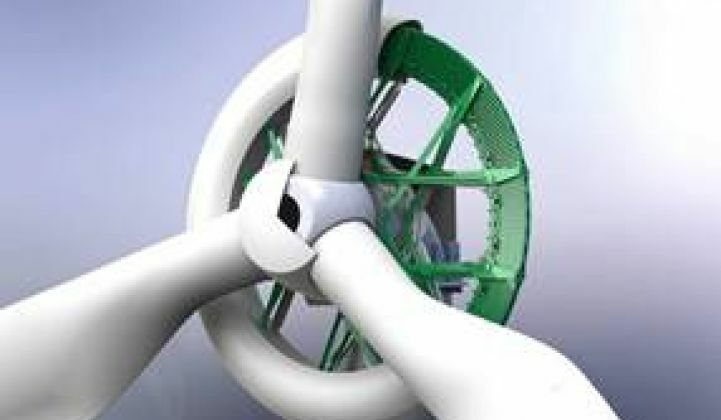 Startup Boulder Wind Power on the Verge of a Big Deal? Talks with OEMs could get the company’s drivetrain concept to the next level. 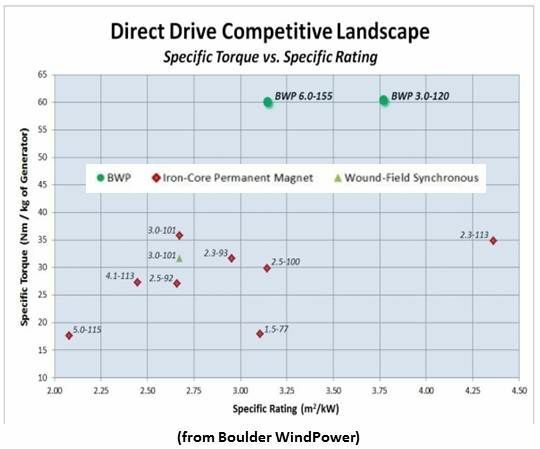 Boulder Wind Power (BWP) is a power electronics and generator startup that just completed a proof-of-concept test for its innovative permanent magnet direct drive wind turbine generator. The $46 million raised by BWP in Series A and Series B investment from Molycorp (NYSE:MCP), New Enterprise Associates, and CEO James Maguire went toward new Colorado headquarters, a personnel expansion, and proving out its high-efficiency, low-maintenance generator concept. 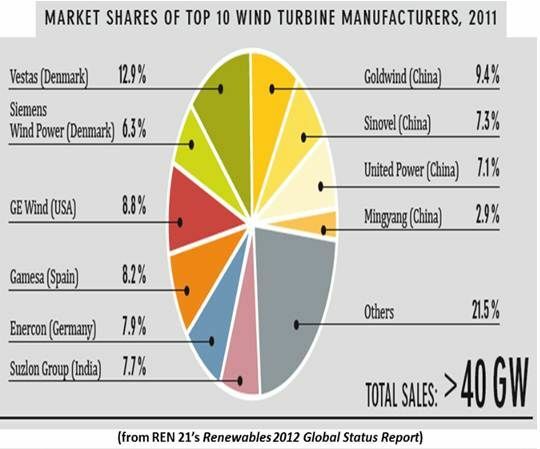 The company is now working on deals with several international wind turbine OEMs that will see its technology through prototype testing and commercialization, according to founder and former Director of the NREL's Wind Technology Center Sandy Butterfield. Butterfield is now BWP CTO and former Suzlon executive Andy Cukurs is aboard as CEO. Nondisclosure agreements prevented him from naming the manufacturers in the pending deals, said Butterfield. “We’ve chosen international OEMs we think are market leaders and share our vision that radical innovation is needed to drive down the cost of wind energy,” Butterfield explained. BWP would license its generator designs and provide key components. The OEMs the company contracts with will incorporate the BWP technology into their designs and assemble the generators. 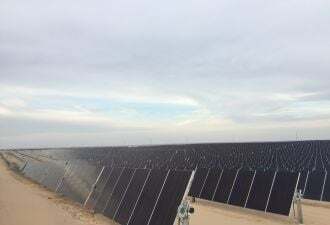 Butterfield said BWP executives are well aware the deals they are working on have similarities to the one that ended in disaster for AMSC (NASDAQ:AMSC) when, last year, Sinovel abrogated a contracted shipment and was later found to have (allegedly) stolen codes for AMSC’s power electronics. AMSC's legal actions against Sinovel, asking for $1.2 billion in losses and damages, are now working their way through China’s courts. “Licensing your technology has risks, whether in China or any other part of the world,” Butterfield said. “The challenge is to pick partners who will respect contractual terms and intellectual property law.” BWP has, Butterfield added, specifically sought partners who seem to understand they need to do these things to compete in the global marketplace. Wind industry watchers say the world is waiting to see if the Chinese courts’ decisions in the AMSC cases reinforce a climate favorable for international trade. Butterfield said he hopes to close a first deal that will include commitments for prototypes within the next nine months. The time frame for a commercial prototype, he explained, is something like eighteen months. So, he estimated, it would be about 27 months to broad scale commercialization, when the deal is finalized. Reliability will be a crucial consideration as the wind industry pushes, in the coming five years, toward unsubsidized grid parity and moves into harsher ocean environments. Three newer options, Smith said, are “the iron core permanent magnet direct drive generator used in Siemens’ (NYSE:SI) latest turbine and by Vensys and Goldwind and the medium-speed gearbox/ medium-speed iron core radial flux permanent magnet generator and high-speed gearbox/high-speed iron-core radial flux permanent magnet generator combinations offered by the Switch and Danotek." Startup Danotek, Butterfield and Smith acknowledged, would have to be considered one of BWP’s main competitors. Danotek, funded by Khosla Ventures, CMEA Capital, GE Financial Services (NYSE:GE) and Statoil Technology (NYSE:STO), does not provide the entire drivetrain, just the medium- and high-speed permanent magnet generators. Other iron-core radial flux permanent magnet generators come from ABB (NYSE:ABB), GE Power Systems (formerly Converteam), Winergy, and the Switch. Moventis (PINK:MVTS), Bosch-Rexroth, ZF Group and Winergy are among the major medium- and high-speed gearbox suppliers.